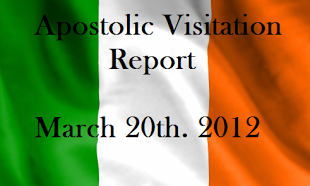 Cardinal Sean Brady has been welcomed on his return from Rome by Taoiseach Bertie Ahern. The two men held a private ten-minute meeting in the VIP lounge of Dublin Airport. 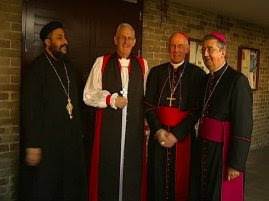 The Papal Nuncio, Archbishop Giuseppi Lazorrotte, and Archbishop Diarmuid Martin were also on hand to welcome him. Archbishop Martin and his Church of Ireland counterpart Archbishop John Neill together with representatives of other churches are participating in a Liturgical Service of Welcome at Dublin Airport Church. At noon, the new Cardinal was scheduled to enter his Diocese of Armagh when he arrived in Drogheda. The event was marked in Armagh City with the ringing of St Patrick's Cathedral clarion bells. Later today, the Cardinal will visit a number of towns before being ceremonially welcomed to Armagh where he will celebrate Mass in the cathedral at 8pm.